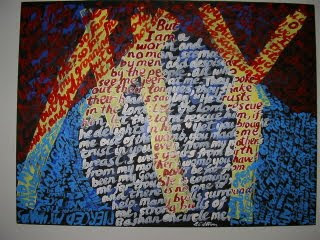 My friend Chris paints scripture. He is the one who encouraged me to start doing do the same. 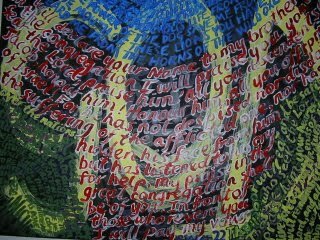 He believes that scripture in art can access places and reach people where scripture would not normally be read. His paintings are displayed in doctors’ surgeries, hospitals, shops and in private homes. He is the one who introduced me to the art of Colin McCahon . 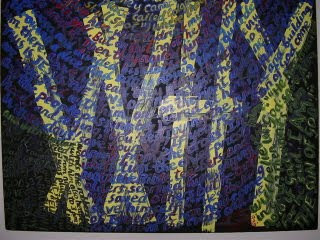 These are examples of Chris’s work.